The land management and governance system can be the underlying cause for materializing the opportunity or face the challenge of rapid urbanization. The urban land lease policy of Ethiopia is considered the most influential factor that determine whether there exists unhealthy, haphazard and unbalanced investment environment in the cities. Since land is constitutionally stated owned, it lays the foundation for acquiring ‘land use right’ through auction or negotiation. The paper critically reviews the policy and its institutional arrangement. It quantitatively analyzed the fundamental factors that drive the value of land developers place on urban land for investment using the land auctions data obtained from Addis Ababa City Administration. Base price, plot size, location and grade and auction period have significant effect on land value in the city. Plot use type and developers’ capital have mixed effect. Our findings suggest that the implementation of the land lease policy still requires reexamination of constraints and opportunities with the aim of devising appropriate measures and strategies for action towards sustainable urbanization. The institutional mechanism should be designed to provide ‘appropriate’ incentive for developers and accountability for bureaucrats. It should also help to facilitate cities to transition from dependence on revenue from land sale to modern taxation, and consider the capability of the rural citizens, who are expected to displace as urbanization progresses, to access the opportunities and their entitlements for integration into cities throughout the urbanization process. In the next 20 years, African cities will more than double in population, and their spatial extent couldmore than triple. What form will this growth take? The current planning regime in African cities focuseson Comprehensive Master Planning, a slow and costly methodology. Many of these plans are never built,but the cities continue to grow rapidly in the absence of a framework. Recent evidence from the NYU SternUrbanization Project indicates that this growth is highly informal and poorly laid out, lacking a networkof arterial roads, for example. Over time, this will negatively impact productivity and the efficiency ofthe metropolitan labor markets in these cities – cities that are expected to drive GDP growth across thecontinent. As an alternative, NYU Stern Urbanization Project has developed a methodology entitled“Making Room for Urban Expansion,” which proposes to secure the bare-minimum public goods necessaryfor orderly growth – a network of arterial roads, and a hierarchy of public open space. 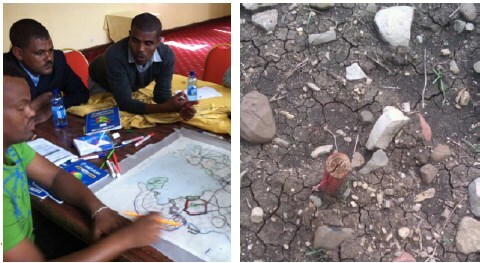 In partnership withthe Government of Ethiopia, NYU has tested this methodology in eighteen Ethiopian cities. 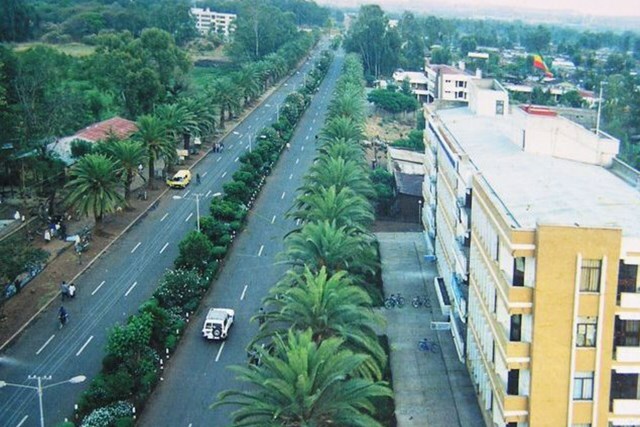 This EthiopiaUrban Expansion Initiative has resulted in the designation and protection of hundreds of kilometers ofarterial roads and large reserves of public open space. 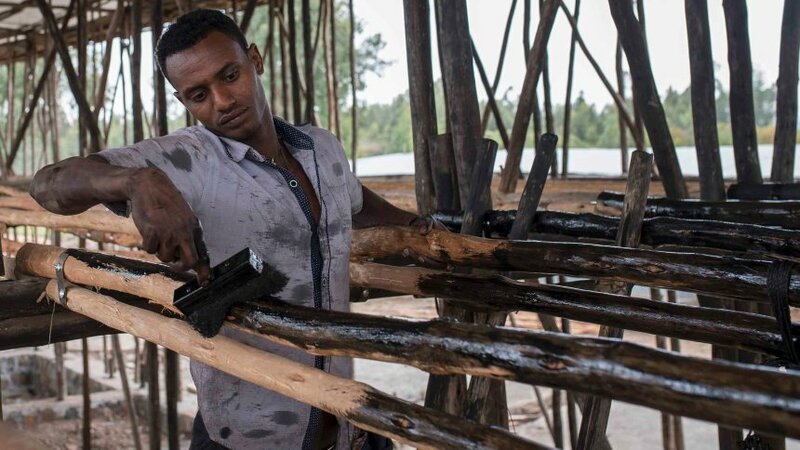 Beyond paper plans, the Ethiopia Urban ExpansionInitiative has led to real changes on the ground, from the construction of many kilometers of road to adramatic increase in the supply of land on the market in these cities. The conclusion is clear – a viable newmethod has been developed for addressing the rapid growth of Africa’s cities. 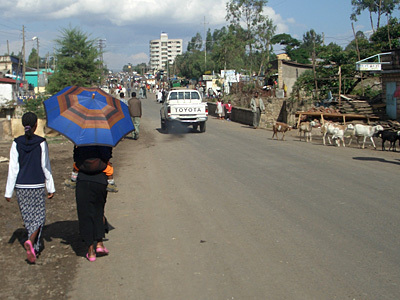 The study specifically aims to review cause and consequences of rural- urban migration in Ethiopia. Environmental degradation, lower agricultural productivity, inadequate social services, demographic pressure, land shortages in rural areas were identified as the major push factors of migration. Although “push” factors predominate, there are some significant “pull” factors that attract rural people to urban areas such as education, health services, security, better job, advancement opportunities and other urban amenities. Depending on reviewed document, the most significant consequences of migration in the urban areas are overcrowding and congestion, strain on urban social services rising food costs, worsening air and water quality and increasing violence, prostitution and diseases are important. Access to urban land for business activities relates to access to working space,or using and/or controlling a unit of land based on open access, land ownership,land lease, business lease or premise rentals. Diversified and broad-basedaccess to urban land with due regulatory control against speculation andholdouts enhances the dynamism and competitiveness of business activities,while on the contrary, mono-route land use markets such as municipal controlof urban land provision suppresses the supply and transferability of land userights thereby creating land use market imperfections. This article discusses therole of access to urban land and its transferability in enhancing the businessenvironment, inter alia, as one of the major inputs in the production of goodsand services. Rising urban population and correspondingly increasing businessactivities lead to urban intensification and urban frontier expansion to adjacentrural areas which should be addressed with prudence and caution in the contextof accurate land information, efficient utilization of urban land, effective andtransparent land governance and due attention to good practices in comparativelegal regimes. The high rate of urbanization coupled with population growth has caused changes in land use and land cover in Bahir Dar, Ethiopia. Therefore, understanding and quantifying the spatio- temporal dynamics of urban land use and land cover changes and its driving factors is essential to put forward the right policies and monitoring mechanisms on urban growth for decision making. Thus, the objective of this study was to analyze land use and land cover changes in Bahir Dar area, Ethiopia by applying geospatial and land use change modeling tools. In order to achieve this, satellite data of Landsat TM for 1986 and ETM for 2001 and 2010 have been obtained and preprocessed using ArcGIS. The Maximum Liklihood Algorithm of Supervised Classification has been used to generate land use and land cover maps. The main goals of urban land leaseproclamation No.721/2011in the country were toprovide adequate serviced land to improve theeconomic efficiency of urban lands and to improvethe quality of life for residents. This studyconducted on an assessment of urban land leaseholding proclamation implementation challenges inAmbo town. For the success of this descriptive andexplanatory types of study were utilized. The datacollected analyzed using both qualitative andquantitative approaches. Primary data collectedthrough interviews and questionnaires. Secondarydata collected by reviewing administrativedocumented materials. Data was organized andpresented using different statistical tools liketables, frequency, percentage and figures tofacilitate the interpretation of the results ofanalyzed data. The results revealed as challengesurban land lease proclamation wereinaccessibility of information about the applicationof lease proclamation, lack of clarity on therequirements and process of land allocation,unaffordable land price to the citizen , proliferationof squatter settlements; Institutional andorganizational capacity limitation and lack ofgood social awareness .The implementation of thelease policy can lead to the desired results only ifthe main challenges are removed so that theStrengthen means of information dissemination,give prime emphasis to maximize land supply ,institutional and organizational capacity shouldimprove, and continues awareness creationprogram should conducted. “Density” which refers to urban space has become an area of discussion among different scholars in urbandesign and town planning and among policymakers in urban development. Some advocates for the compact city(higher density) development and others to spread-out. 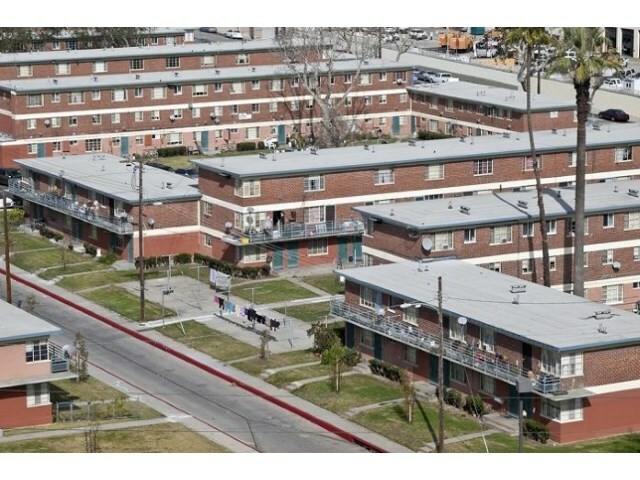 However, the objective of this study is not evaluating thearguments of pro-density and spread out developments. 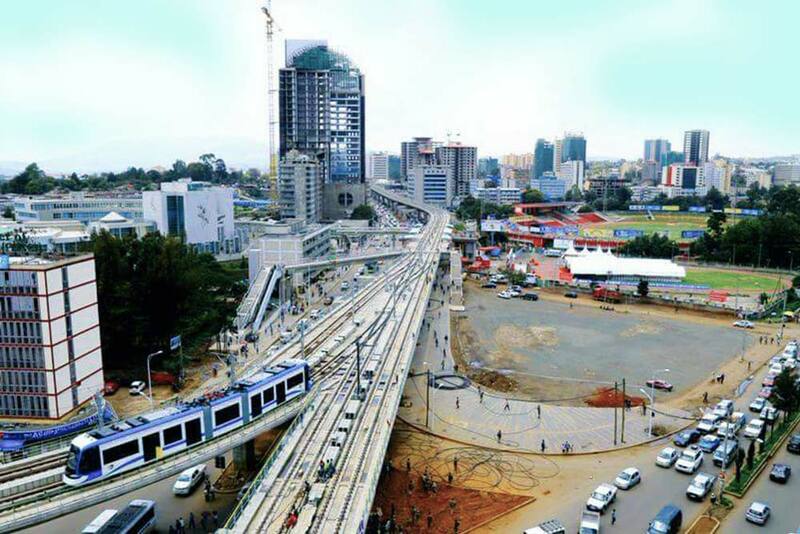 The study aimed to assess and investigate to what extentEthiopian cities are dense based on national urban development policy, acceptable global standards? Identifymajor challenges hindering density of development and strategies devised to solve the problem, assess land useintensity among core area, intermediate zone, and peripheral zone and identify the reason behind and suggestsome policy recommendations which supports compact developments. The research approach applied in thisstudy is a mixed approach (quantitative and qualitative) and both primary and secondary data had been collectedand analyzed. Spatially, Ethiopian cities are growing in a low-density pattern as compared to global standardssupposed to developing countries and national contexts (housing as well as population density). For this, a rangeof different factors is considered. Housing typology, land delivery system for development purpose, anddeficiency in enabling environment (water supply, sewerage system, road network) and the lack of the policydirections and density standards which indicate where.....what level of density and how it can be achieved,presence of significant proportion of vacant or underused land in core areas by government institutions as well asindividuals are contributed for the existence of low-density developments. There is no fit all strategies aboutdensity; therefore, to achieve a planned and healthy density, private sector and individual developer muststimulate and regulated through market and planning instruments. To do so, a comprehensive land use anddensity framework and planning capacity is important. Food production in and around cities is an integral part of the urban fabric in much of thedeveloping world. In these regions, urban and peri-urban agriculture (UPA) plays an importantrole in diversifying urban diets and providing environmental services in urban and peri-urban areas.As such, there is growing interest in UPA as a strategic component of urban resilience and climatechange adaptation planning. However, advocacy for UPA in this capacity is outpacing the body ofevidence regarding important stressors and drivers that act on UPA. Such knowledge is especiallycritical in the developing world where urban areas are experiencing rapid growth and transformation.In these regions, UPA is facing intensifying pressures from urban encroachment, waste disposal,pollution, and climate change that may undermine the sector’s long-term viability. 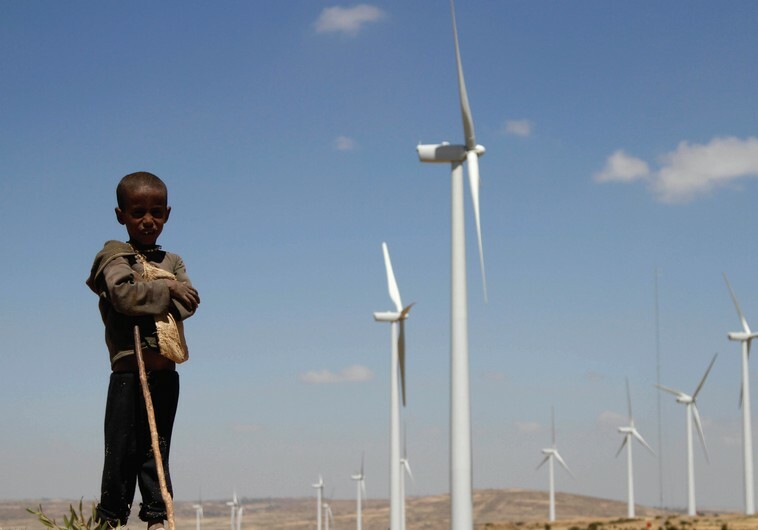 Ethiopia has started implementing a very ambitious Climate Resilient Green Economy strategy. The transformation of rural people and land to urban land and culture is a naturaldiscourse and inevitable process. In the process, more than half of the current worldpopulation are living in urban centres. The number of urban centres and their populationis rapidly increasing while the situation of integrated development of urban centres andrural areas such URELs for sustainable development have given less attention inagricultural based countries (ABCs). Multi-disciplinary (agriculture and agro-industries)integration, multi-spatial (urban centre and its hinterlands) linkages, multiscalar (micromesoand macro) levels, multi-actors and stakeholders involvement are the noteworthyinnovations in the field of development studies. 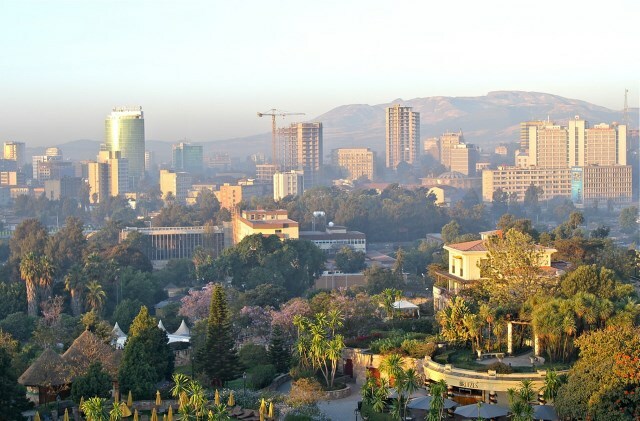 Various restrictions in Ethiopia’s urban land law have adversely affected theavailability, transferability and tenure security of land-use rights for businesspremises. These legal and administrative challenges have led to urban landlease tender price hikes that are not affordable to the majority of economicactors in the private sector. The gaps in land information and land governanceexacerbate the challenges in the realms of availability, transferability andtenure security. Such land-use right market imperfections are susceptible toeconomic rent seeking, resource capture and land speculation. Due to the rapid growth of cities in Africa, a larger number of farmers is living in the rural hinterland providing food to urban residents. However, empirical evidence on how urbanization affects these farmers is scarce. To fill this gap, this paper explores the relationship between proximity to a city and the production behavior of rural staple crop producers. More in particular, we analyze unique data from teff producing farmers in major producing areas around Addis Ababa, the Ethiopian capital. We find that farmers more closely located to Addis Ababa face higher wages and land rental prices, but because they receive higher teff prices they have better incentives to intensify production. 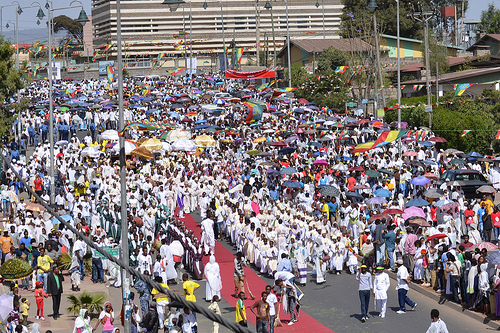 In physical terms, Addis Ababa is currently expanding at an increasingly rapid rate. Further, the cityhas been undergoing horizontal expansion as the major form of development throughout its history.The degree of the physical expansion of the built-up area of the city has outpaced the capacity of thecity government’s infrastructure and basic urban services. Responsibility for this physical expansionhas been attributed to legal landowners, land developers, and squatter settlements. 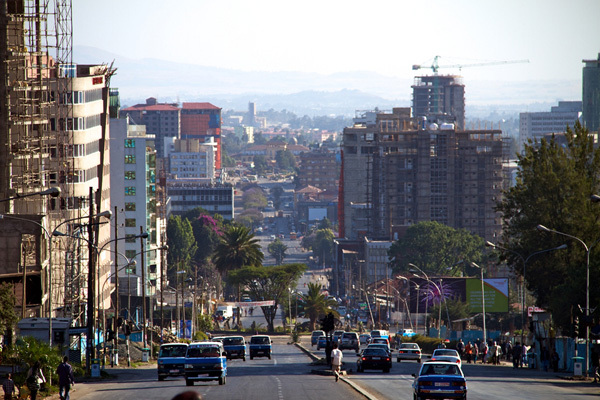 In Addis Ababa,squatter settlements are mainly located in the peripheral areas of the city. This study focuses on squatter settlements that are found in Kolfe Keranio sub-city. The principalobjective of the study is to assess the causes and consequences of squatter settlements in the light ofunplanned expansion of the built-up area of the city. In order to achieve the study’s objective, aquestionnaire survey covering a total of 230 sample household heads was carried out in kebele 04 andkebele 05 of Kolfe Keranio. Urbanization has historically pushed all forms of agriculture out of the city into therural areas, considering it is too dirty for the wealth and glory of the city. 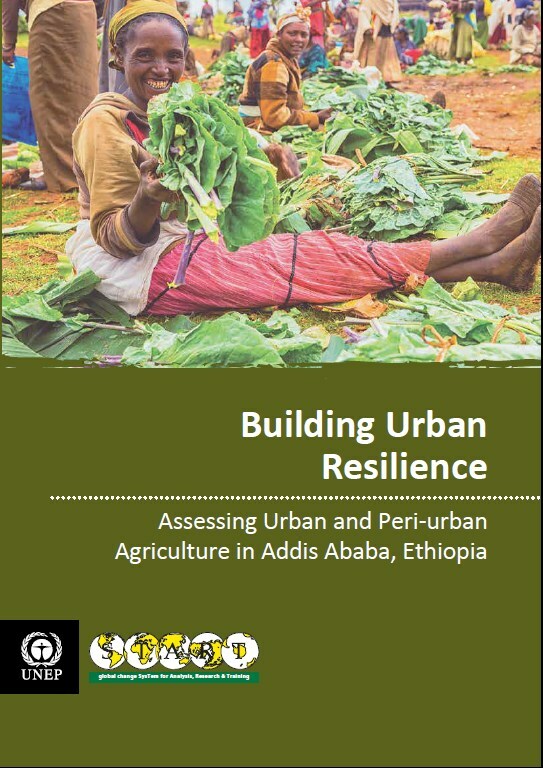 This studyinvestigated the status of the urban agricultural practices in Addis Ababa. Despite thesignificant role, urban agriculture could play in household food security, income andjob opportunity and general poverty reduction; this activity is facing challenges due torapid urbanization that is bringing highly competing land use demands. 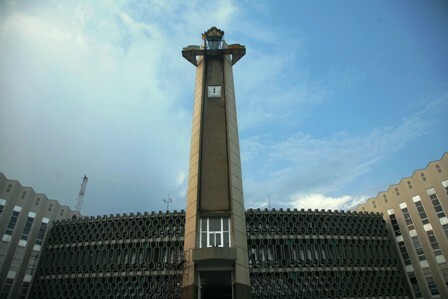 Urbanagriculture, however, is a hazard in the development of Addis Ababa City. 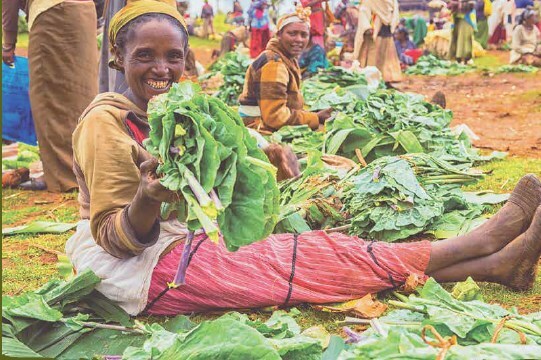 Urbanagriculture contradicts the policy of modernizing African cities. 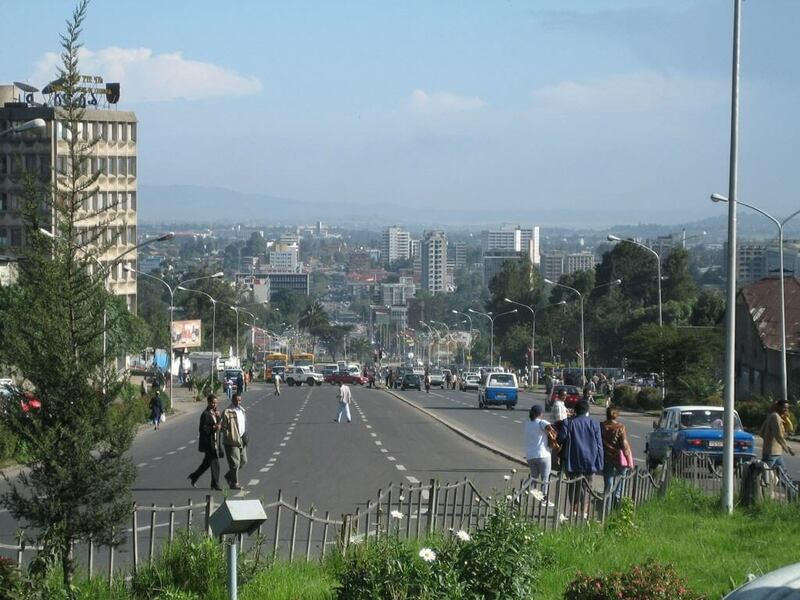 The urbanization phenomenon in Ethiopia has been associated with environmental problems in mostcities, including Addis Ababa. Among the problems are urban sprawl, solid and liquid wastemanagement; water, air, and noise pollution; illegal settlements and the degradation of open greenareas. Open green areas in particular have been placed under extreme pressure, thus threatening theirability to maintain basic ecological, social and economic functions. 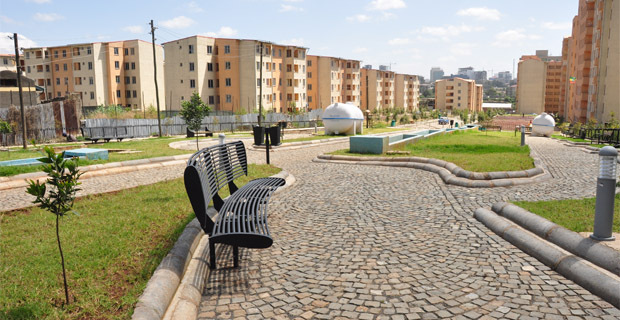 The objective of this study,therefore, was to evaluate the achievements and challenges of the Addis Ababa Sanitation,Beautification and Park Development Agency (SBPDA) in managing the City’s open green spaces. The majority of Africa’s population will shift from rural to urban in the next thirty years. Future Cities Africa aimsto help cities achieve inclusive economic growth, manage demographic change, and address environmental risks. Africa is going through an economic boom and cities are at the centre of this pathway to economic prosperity. Two key features are set to alter Africa’s future: a youthful population and urbanisation. Combined, these features are defining the boom in trade and industry and will push modernisation and increase connectivity across the continent (KPMG, 2012). Lessons for designing fit-for-purpose land administration and land management activities, where the stated purposes are poverty alleviation, food security, and good governance, are provided. 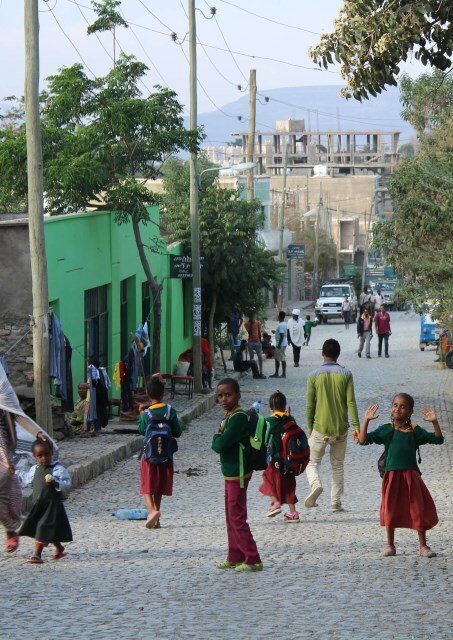 Contemporary developments from urban and rural Ethiopia provide the empirical basis: data is synthesised from fieldwork and other research activities undertaken between 2011 and 2013. 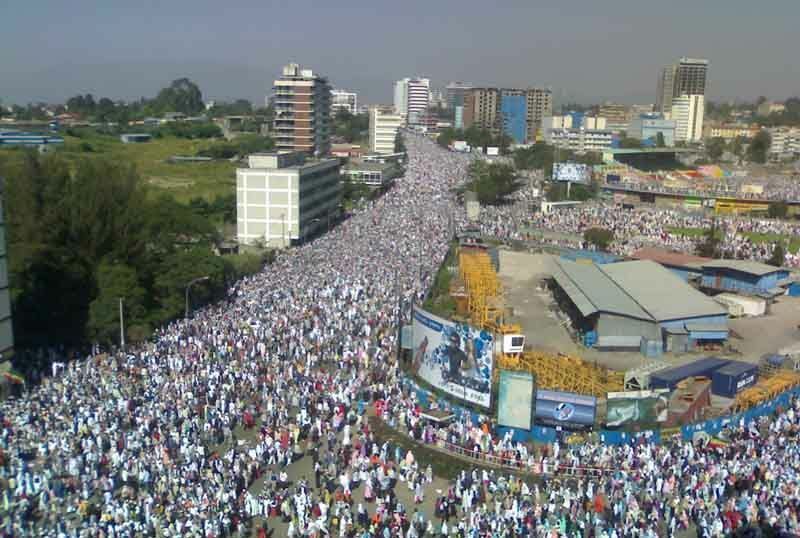 With its large population and important geopolitical location, Ethiopia will continue to act as a yardstick for measuring the success of the global development agenda, particularly in Eastern Africa. For strategic, operational and financial reasons, Geographical Information System (GIS) based mappingsolutions are becoming an increasingly important area for realizing effective land management systems formany municipal governments across the globe. Despite the obvious gains, many local authorities in Africahave not yet taken advantage of the new developments within this sector owing to a myriad of resourcechallenges. With the advent of new technologies – such as global navigation satellite systems, remotesensing and new GIS based mapping solutions, it seems Africa might be on the brink of leap-frogging over anumber of stages in urban planning as well as commercial and security systems (Masser, 2005; Opoku-Mensah and Salih, 2007). In this article, I reflect on the implication of the urban land tenure systems of the three politicalregimes of Ethiopia on the objective element of land tenure security of urban landholders, particularly,permit holders. The objective element of land tenure security can be assessed in terms ofclarity and breadth, duration, assurance, and enforceability of land rights. On these foundations, Iargue that the objective element of tenure security of urban landholders in Ethiopia has beenreduced with each subsequent regime. The Imperial regime’s urban land tenure system affected theobjective land tenure security of urban landholders in terms of enforceability of land rights—particularly limiting the right to appeal to a presumably independent court of law with regard to theamount of compensation awarded for the loss of land rights through expropriation. The Dergregime’s urban land tenure system, on the other hand, had narrowed the breadth of land rights topossessory right; it introduced other grounds in addition to expropriation, by which a landholdercould lose his land rights, it adopted a vague and broad understanding of “public purpose” forexpropriation, and it introduced a compensation scheme that left a landholder compensated inadequately;and it totally prohibited bringing a legal action in presumably an independent court of lawagainst the government. Even more, the post-1991 urban land tenure system has perpetuated theobjective land tenure insecurity of permit holders by making the land rights unclear until theenactment of regulation; and to be valid for a definite period of time by mandatorily demanding itsconversion to lease system.